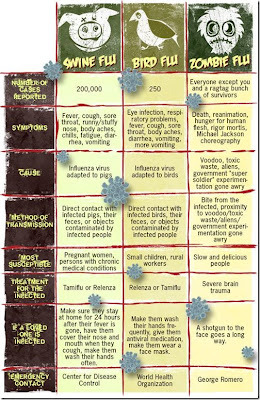 With all the flu viruses floating around, I figured I would post a handy guide for you to self-diagnose. It's MUCH more accurate than those web-doctor thingies out there! As usual, clickey to embiggen! I can't see the guide for Man Flu on there anywhere ?? ?